For over 85 years, Toyota’s innovations continue to make people’s lives easier. But as far as we’ve come, there’s still so much we can do. With our eyes to the future, we’re setting on our sights on an even greater mission: helping to give all of humankind the freedom to move. Awareness on your shoulders. A technology that helps people navigate their surroundings and do more with greater freedom, independence and confidence. It’s like you’re skiing through city streets. The car that knows who’s behind the wheel. A true partner for the road ahead, our TOYOTA CONCEPT-愛 i uses artificial intelligence to grow with, protect and inspire its driver. 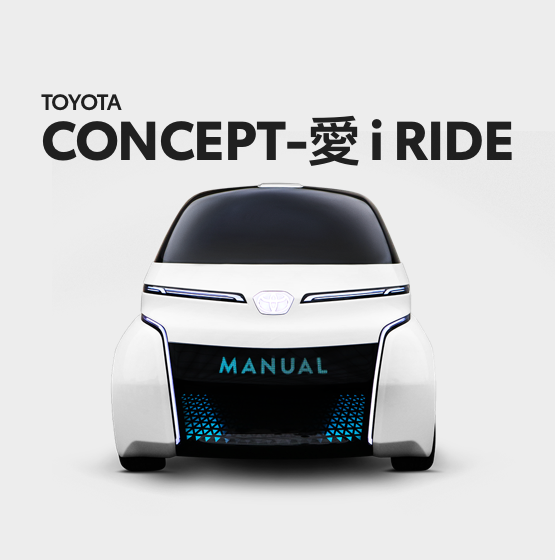 TOYOTA CONCEPT-愛 i RIDE is our ride-sharing solution for the city of tomorrow that will transform mass transportation into a personable and wheelchair-accessible experience. Where cars can’t go, it can. 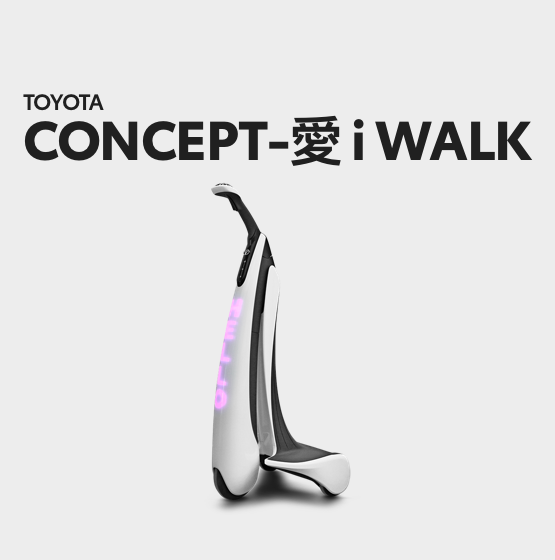 Designed for sidewalks, the ultracompact TOYOTA CONCEPT-愛 i WALK autonomously drives users through the last leg of their commute. A joyride – with or without the kids. Fit for three, the sleek i-TRIL can fit in tight places and autonomously drive you across town (and back again). Your helping hand. A friendly robot that’s designed to make independent living possible by assisting with day-to-day tasks and connecting users with their family and friends. Regain your natural stride. The Physical Rehabilitation Aid Robot is a device that helps those who are having problems walking regain their natural walking ability. Toyota prototypes shown. Not available for sale.